Outstanding Photo Appearance Xiaomi Redmi 5, What's Its Excellence? INDUSTRY.co.id -Beijing - Xiaomi is rumored to be launching the latest Redmi Note 5A phablet on August 21, 2017. The rumors of the widely circulated launch date were confirmed by Xiaomi after circulating invitations to the media and Xiaomi boss also uploaded the invitation image. Quoted from GSM Arena, this latest Phablet has been certified by China's telecommunications regulator, TENAA, for two versions of the handset. 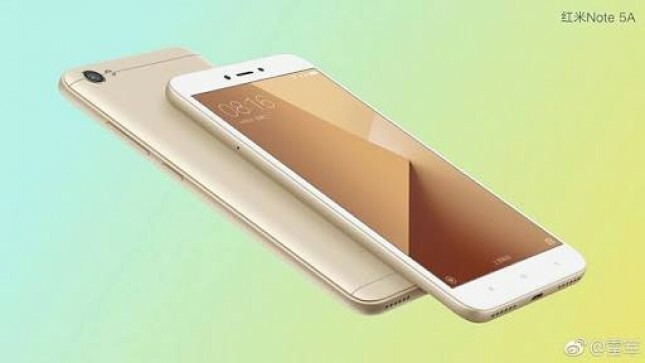 Redmi Note 5A is estimated to be equipped with 5.5-inch HD 720p screen and 3,000mAh stamped. This model will be available in Snapdragon 425 and Snapdragon 430 varianchipsets, as well as 2GB of memory with 16GB and 3GB storage for 32GB capacity. Redmi Camera Note 5A is called a 16MP sensor behind and 13MP in front. There are also models with 13MP rear camera and 5MP selfie camera.